Joe Butcher, WG’16, saw Lipman Prize finalist Riders for Health in action, addressing one of the greatest challenges for health care workers in sub-Saharan Africa: a lack of reliable transport to reach remote communities. 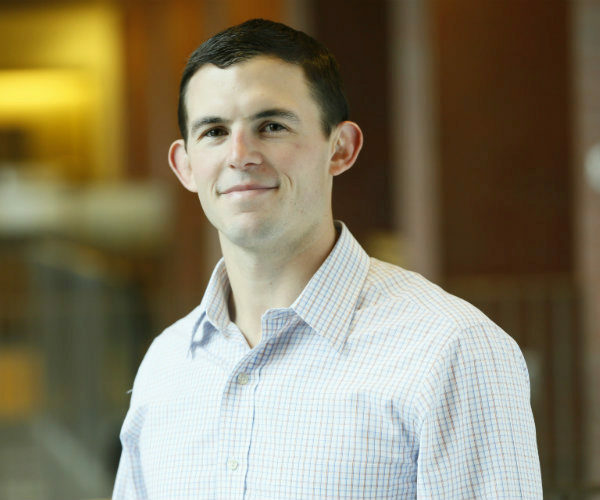 Fresh from his career as a Marine officer, Joe Butcher, WG’16, came to Wharton with the hopes of using business to have an impact and help solve societal problems. As he wrapped up his first year in the MBA program and his experience as a Lipman Family Prize Fellow, he had the opportunity to do just that on a “once-in-a-lifetime” trip to Malawi. The Fellowship experience culminates with a site visit to one of the three finalist organizations to work on a consulting project. Joe and two other Lipman Fellows (Jay Pepito, SP2’16, and Walker Moseley, MPA’16) traveled with Kate FitzGerald, Marketing Director for Wharton’s Leadership Program, to visit Riders for Health — an organization that ended up taking home the 2015 Lipman Family Prize. 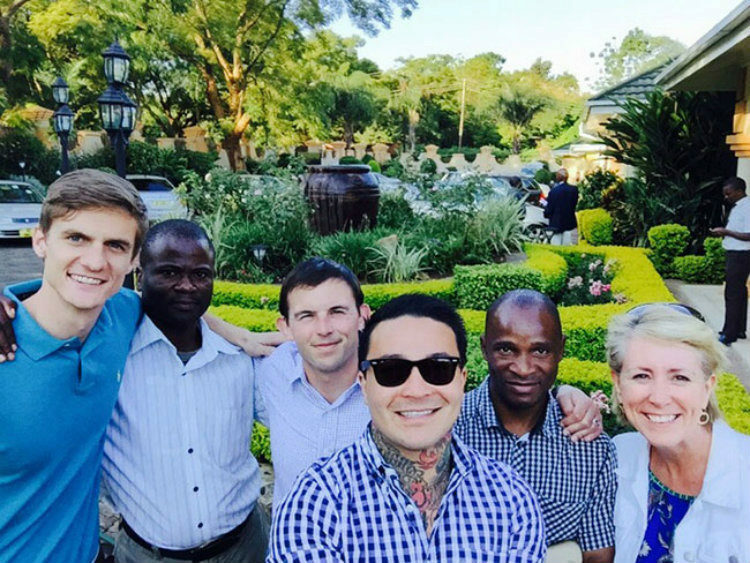 Before arriving in Malawi, Joe and his teammates had spent several weeks discussing the project with the Riders team and researching their business model and programs in other countries. The 2015 Lipman Family Prize team Walker Moseley, MPA’16, Joe Butcher, WG’16, Jay Pepito, SP2’16, and McNulty Leadership Program Marketing Director Kate FitzGerald, with the two of the tour guides who showed them around Malawi. The international NGO addresses one of the greatest challenges facing health care workers in sub-Saharan Africa: a lack of reliable transport to reach remote communities. They manage more than 1,300 motorcycles, ambulances, and other four-wheel vehicles to improve access to health care for over 21 million people in Lesotho, Zimbabwe, Malawi, Kenya, Liberia, Nigeria, and the Gambia. The trip allowed the Fellows to see the Riders for Health business model in action. After arriving in Africa, they had a full day of meetings with the in-country staff, followed by a day of meetings with external stakeholders, including the Ministry of Health and various other nonprofits and partners in the area. “Following these two intense days, we spent a considerable amount of time digesting this information and discussing our findings so that we could make insightful and useful recommendations,” Joe said. For that presentation, the Fellows met with key local staff members and the Riders for Health COO, who had traveled from the organization’s headquarters in the United Kingdom. They shared their findings and recommendations — which included social enterprise approaches, marketing recommendations, and the importance of a strong organizational culture. “This trip reminded me not only why I came to business school in the first place but, more importantly, how much value you gain from traveling to new places and developing worthwhile relationships,” Joe said. The trip wasn’t all work and no play. “Malawi is known as ‘the warm heart of Africa,’ a name it certainly lived up to,” Joe said. He and his teammates were blown away by the warmth and welcome of each person they interacted with on their trip, especially their hosts at Riders who were eager for them to take in the sites and local culture. After their first two days of meetings, they went on a mini-excursion for the weekend. They drove 90 minutes to a little place on Lake Malawi called the Safari Beach Lodge. 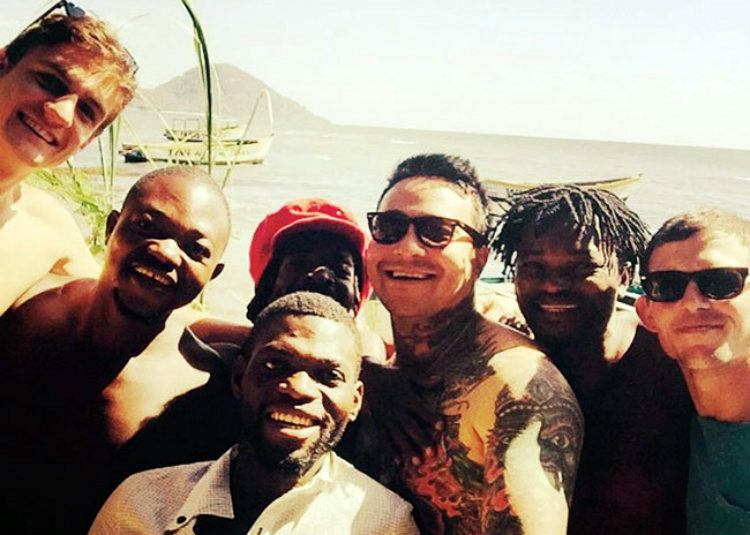 The team enjoyed taking a break from their work on a mini-excursion to the Safari Beach Lodge at Lake Malawi. After the group gave their final presentation, they took one last excursion before wrapping up the trip — a two-day African safari. “This was the first time in Africa for all of us, so we felt that this was something we had to take advantage of,” Joe said. They spent two days and nights in tented chalets at Thawale Lodge, where they went on two game drives and a boat ride along the river that spans the Majete Game Reserve. “Highlights included zebras, warthogs, impalas, and an entire elephant family of seven that walked straight through our camp site, luckily our tents were raised,” he said. This story was adapted from a blog post by Joe Butcher, WG’16, that originally appeared on Wharton Magazine’s Wharton Blog Network. The Barry & Marie Lipman Family Prize is made possible through a generous gift from Barry Lipman, W’70, and his wife Marie and reflects their own strong commitment to socially responsible organizations and action. The Prize is administered by the University of Pennsylvania through the Wharton School and engages faculty, staff, and students from across the University. The Lipman Family Prize Fellowship brings together a diverse group of 12 students from programs across the University — both undergraduate and graduate — who have an interest in social impact-related work. During this yearlong, intensive experience, the Fellows focus their energy on completing due diligence to assist the Barry and Marie Lipman Prize Committee in making its decision on which organizations should be deemed the three finalists for the annual prize. It also involves weekly meetings, monthly leadership sessions, two retreats, and various social events.